No one can deny the importance of microphone as it has become the essential part of our life. We may need it at different occasions and especially for online affairs. If we have good microphone app installed on our Android or iOS, we can use it to record useful online recordings, can communicate with anyone using our high-quality voice and also can utilize microphone on many other places offline. Therefore, it is vital to know about the best live microphone apps which we are going to inform you in below. If you want your phone to work as a live-in microphone, then these apps are the best choice for you. Here is a list of the best live microphone apps for iPhone and Android. 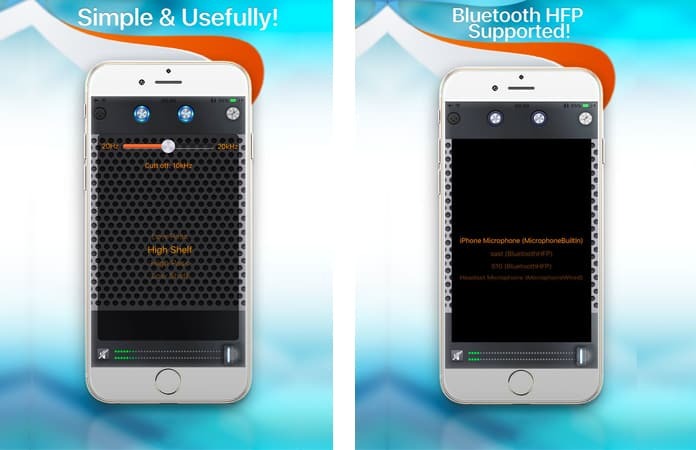 Air Microphone app is an amazing app which you can use to connect your iPhone or Android phone with TV, and it will convert your phone into the fine quality microphone. You can efficiently use it as it does not require any complex function or professional experience. You need to enter the menu, and with AirPlay support you can find any device in no time. It works in pro way which means your output voice will be cleared and you can set the volume density for your audio. This is another app which is very famous to convert your phone into an awesome microphone. You can quickly switch between different input/output modes to use it on Bluetooth external devices or AUX. You can quickly send your recorded files on your Skype. You can create schedules and save specific person name in contact to record his call every time. Thus never miss the opportunity to use this multi-featured app. 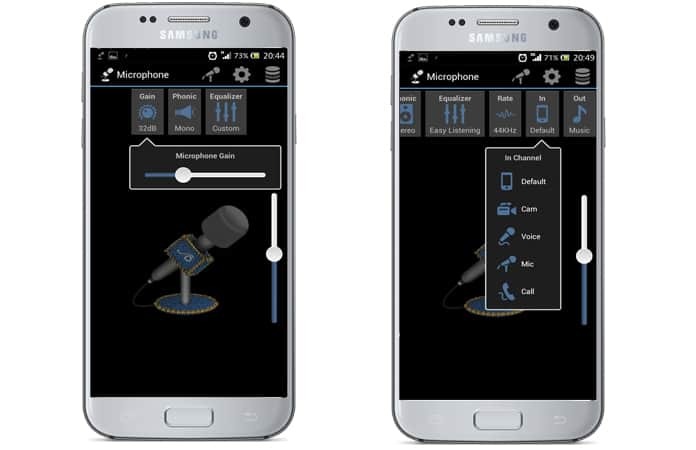 It is another app which comes under the category of microphone apps for iPhone and Android. You can use this app to use microphone virtually, and it works depending on the operating system of your phone device. You can use USB-cable, Bluetooth, and Wi-Fi to connect a portable device to a computer. 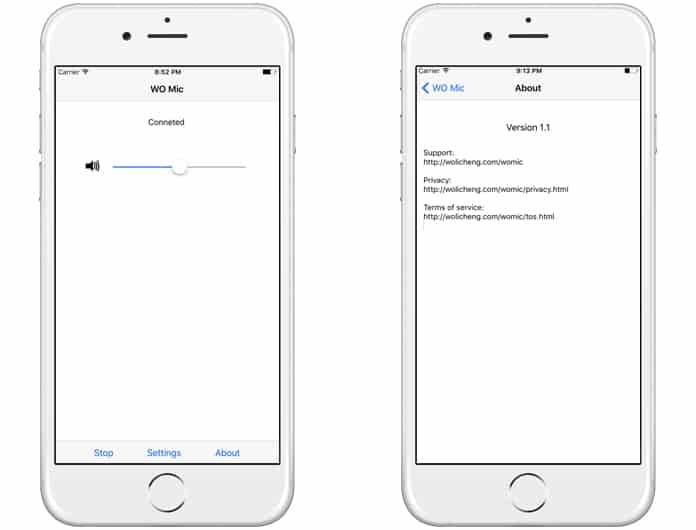 This WO Mic app allows all possible types of connection and has the highly pragmatic interface which does not require any configuration. So, you can consider this app on your list when selecting any microphone app. Microphone by VonBruno is a right choice when you are looking for live microphone sessions. You can use this app to input your voice or any sound, and it will enable your recorded sound to hear loud sound with the help of connected speakers. You can surely use this app for parties or any other interesting event for fun and communication. You can enjoy different features of this Microphone by VonBrunoapp and listens high-quality clear sound. Its interface is very straightforward to understand, and you can adjust and change the sound patterns with swapping of your finger. 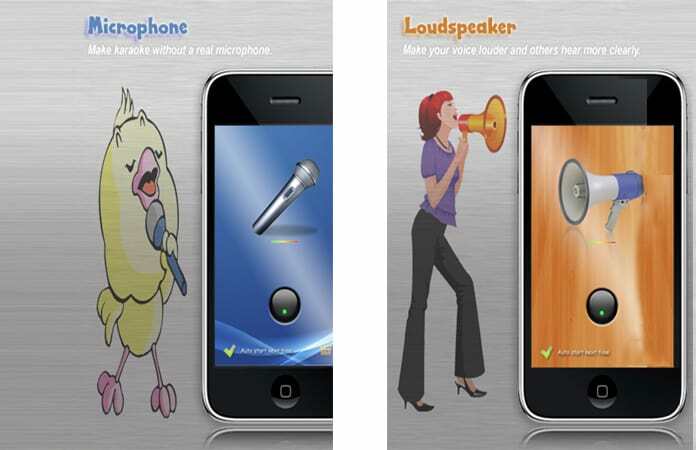 This app can also give particular effects to your voice according to the requirements of different situations. Also, you can select any sound of your interest from iTunes library to have everything in your pocket. So, never get bored and use this app to make your device as a powerful microphone and connect it with to a stereo system. 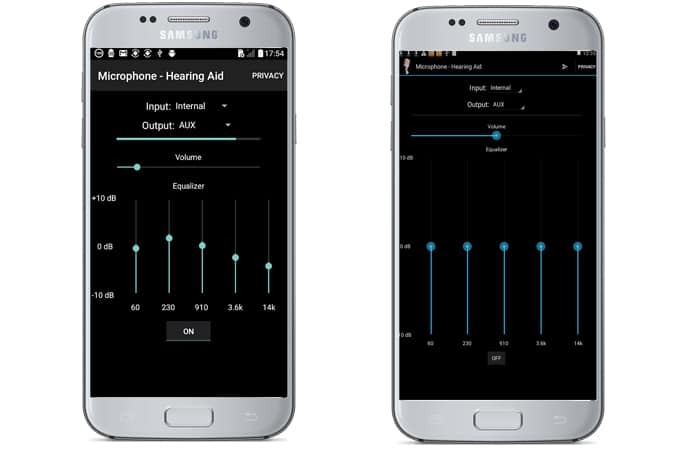 This application is different because it has a stereo amplifier, two playback modes -mono or stereo and sensitivity adjustment. It also has an equalizer adjustment and the best think about this app is that it has an acoustic router. This Microphone application can turn any phone into a microphone which can be connected to any stereo system, headphones or keyboard via the cord. AirMic app allows you to connect your personal computer to a TV and turn the entire system into a karaoke machine. With this application, you can transmit audio received from the microphone on your phone to your personal computer’s front speakers. 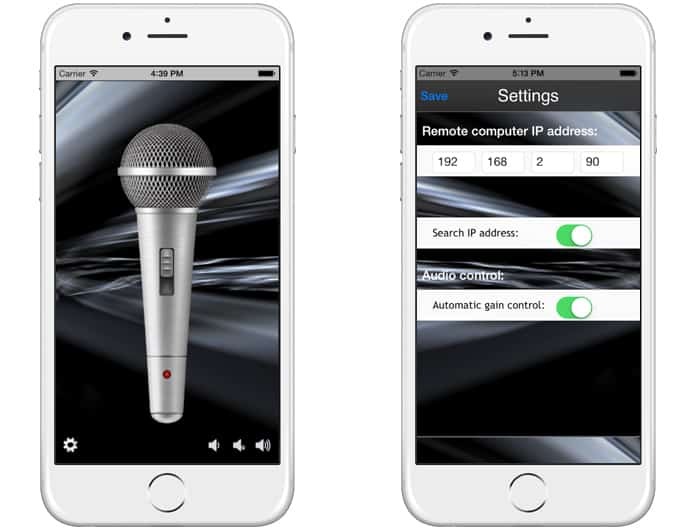 The AirMic application is one of the best live microphone apps because it can connect up to 4 iDevices. It can also transmit the audio received from an iDevice mic to a remote computer using a wireless connection. 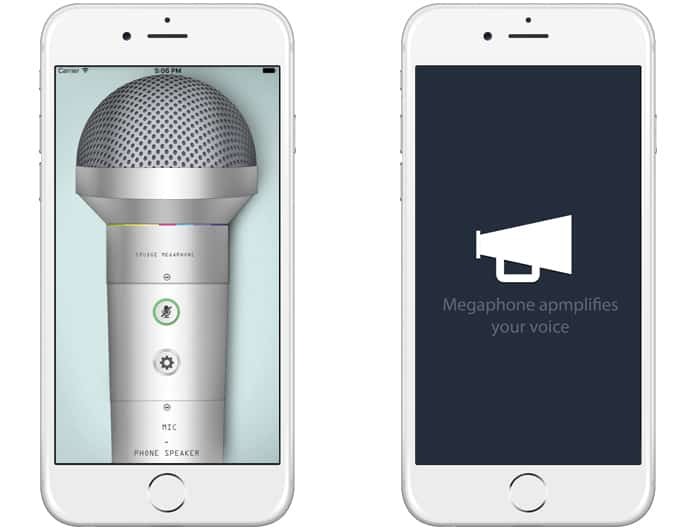 Another must-have app for your iPhone is Megaphone. 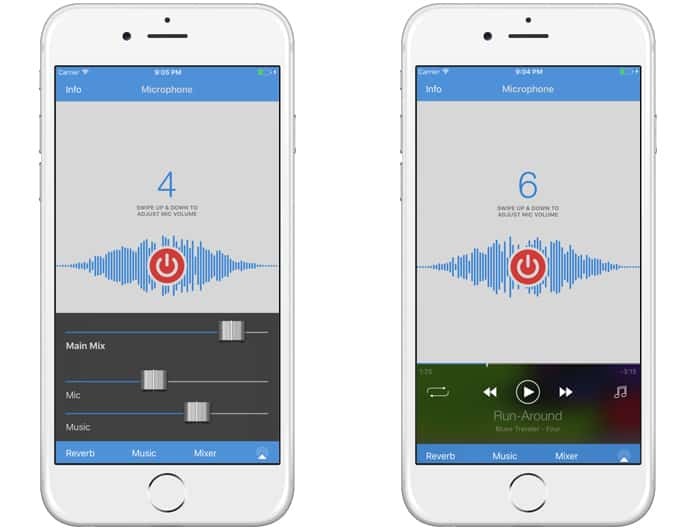 This app can transform your iPhone into an instant Microphone. All you need is to plug in a stereo or amplified speakers into the headphone jack, launch Megaphone, and start singing. If you want a wireless microphone all you need is to plug the iPhone into an FM transmitter. With this app, you will never need to hire a microphone again at your parties. This fabulous app can turn your iPhone or iPod into an audiphone, microphone and loudspeaker. Using the Audiphone option, you will be able to hear more clearly when others are talking to you. But if you want to get the best experience then you should try the Bluetooth headset. To use the Microphone you need to plug the line from your speakers into the headset jack. But if you are in a noisy office and you want the others to hear you, then you should try the loudspeaker option. 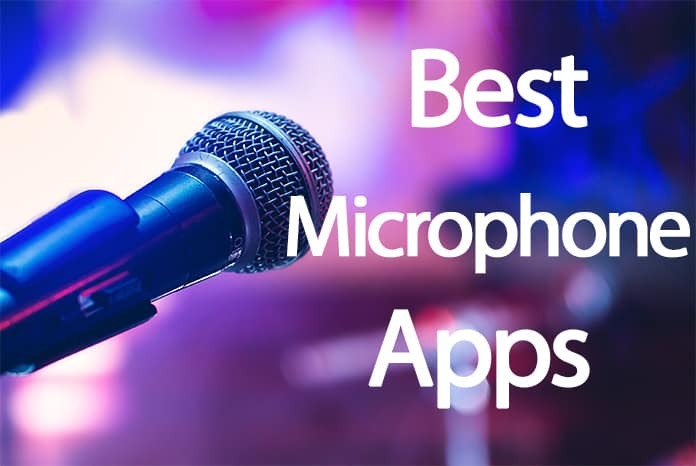 We hope that you liked our list of the best live microphone apps for iOS and Android. Don’t forget to like, share and leave your comments in the section below.